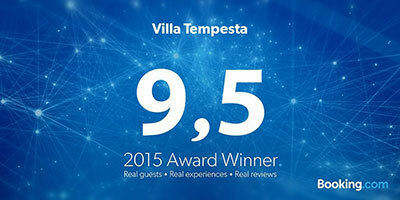 Villa Tempesta is located right on the shores of the lake. It offers elegant and modern rooms, a private garden and beach, and top-of-the-line customer service for a truly magnificent vacation on one of Italy's largest lakes. Welcome to an oasis of peace and quiet, right on the banks of Lake Garda: located on a dramatic rock outcropping, Villa Tempesta will enchant you with its elegant and modern rooms (all with breathtaking lake views), bespoke customer service, and a magical and unforgettable ambiance.